Nothing has gone easy in Alexis Bandit’s life. 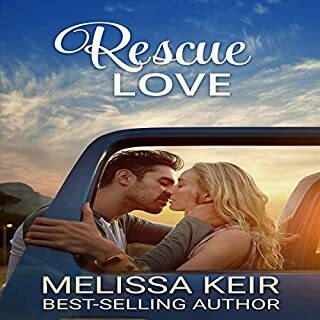 On a trip to rescue mistreated puppies and drive them to their forever homes, she meets up with a tuxedo-clad cowboy on the run and offers him a ride. Jason Fields thought he had it all - a beautiful fiancée, a loving family, and great job - until he overheard his future father-in-law talk about arranging his murder. Now he’s on the run, without money, a phone, or a credit card. With a killer on their tail, four mischievous pups, and many miles of highway, what could go wrong? A Rescue could not be finer than this one! If you love rescue stories, you'll certainly love this on. There are four puppies, a handsome young man who only came to his senses the day of his wedding and a fabulous young woman, who was taking four pups to their new homes in other states and allowed the young man to accompany her, when she learned that he feared his fiancé and her father intended to kill him once they were married. Melissa Keir has created another 'can't put down' story of love, intrigue and danger. When Carter is killed in combat, he leaves behind his heartbroken wife, Avery, and his shattered best friend, Remy. Naturally, these two wounded souls gravitate together, irresistibly drawn by the loss of the one they both loved, as well as their deep friendship with each other. But when that friendship starts to turn into something more, new problems arise. Will Avery be able to move on after losing the love of her life? Will Remy be able to fill the void left by the loss of his best friend? Or will this new chance at love cost them all they have left? Prepare to cry, laugh, and love again. Ovurard creates an intriguing plot to her story. When the story begins, we discover that Avery (beautiful female) has left the armed forces after an explosion nearly killed her and killed many of her group. The man she is about to marry, Carter, has to return to duty 3 days after their marriage. It breaks her heart, but as a prior soldier, she understands. Only the worst possible situation unfolds. Two months from returning home, Carter is killed by the enemy. Prepare to cry. After luring you in to love both Avery and Carter, Carter is killed by an enemy militant. And his best friend, Remy, is soon seriously injured as well. 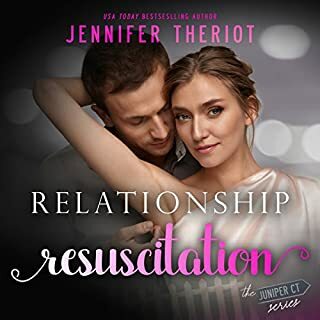 When they get Remy back to stateside, Avery is there to help and heal him. And given how close she was to Remy for ten years of her life, falling in love wasn’t hard. What was hard is not feeling guilty for falling in love so soon after Carter’s death. This was not just a problem for Avery. It was also a problem for Remy as well. 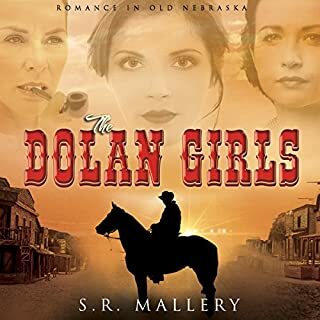 The twists and turns in this story kept me riveted. I could not stop listening to the story. Will they get past their history and guilt? Or will they break apart? You’ll get no spoilers from me. A funny thing happened on the way to the battlefield. Arthur, High King of Brydein, must fight the last of the rebel kings to acknowledge his right to govern them all: his old nemesis, King Urien of Dalriada. Before he can lead his army to where Urien's forces sit ensconced, however, a fey man appears from the midst of a sudden, eerie storm to block the way. The man claims to be the high king of an altogether unknown land...and he wields uncanny power the likes of which Arthur has never seen. A creative mix of King Authur and a King from another world who is thrown into Authur's path as he and his men attack the one outstanding King who refuses to bow to King Authur's power. King Authur has no doubt his sister, Morgan is responsible for the Other World King and his magical powers. Instead of Authur and the Other World King fighting and killing each other, which was Morgan's plan, they become friends. The Other World King even helps in a special way to defeat the enemy. I absolutely loved this story, despite my lacking the ability to remember their complex names. However, I do remember the fabulous three dimension-able characters that the authors have created.. This short story brings to life the true nature of King Authur better than any story I've read before. 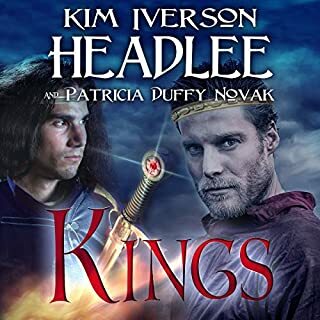 The narrator's voices between the kings are so different that I thought there were two narrators. Fabulous narration!!! Overall, it could not be better than this. This might very well be the best short story ever written and narrated. This is without question, the funniest, the best, the most thought provoking book every written in all the galaxies. And why I cannot make it read five stars I do not know. Marvin! 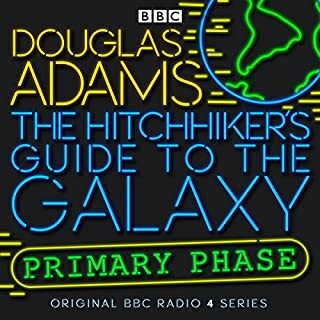 come here and fix Audible! The narrator was fabulous At first, I didn't like the jumps in time, but midway through, I believed having the jumps made the story even better. I fell in love with so many of the characters. and I cried on several occasions. I thought the performance was perfections, The story complex ,snarky and absolutely fabulous. Overall, it was almost perfection. There was one section of battle that seemed to drag on too long, but overall, it was fabulous! Tied to the cemetery where her remains came to rest, the ghost of Zoey Harris is stuck. The only bright spot in her miserable afterlife is that every October she gets to visit her daughter. It's typically a quick fly-by to see what costume she's wearing for Halloween, but, this year, the five-year-old can not only sense her mother's essence, she can see her. 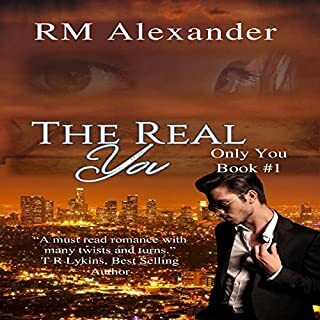 The adventure begins when Zoey grows more confident in her newfound haunting abilities and decides to sneak a peek and see what her husband has been up to. What a fabulous story of letting go when one dies. Only in this story, the one having trouble letting go is Zoey, the mother who had died and left her husband and child. Worse yet, she knows her death and the near death of her daughter were her fault. Thus, she visits her husband and child on Halloween each year. As her daughter grows into a young girl, she’s able not to just sense her mother, but see her as well. However, her husband is trying to move on, but Zoey was the love of his life, and her yearly arrivals keep him from successfully doing so. This is a beautifully written story with moments of humor and tears. I think I cried eight times during this story. Some were poignant cries, some sad, and one of joy. 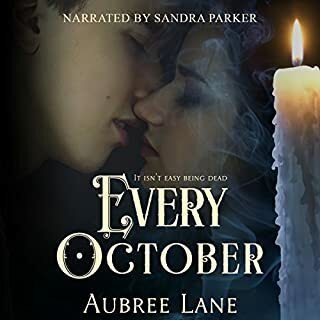 Aubree Lane paced this story beautifully, giving the readers moments of humor, compassion, further enlightenment of life after death, and the flexible rules of dying. It’s a short story, but well worth the read. Detailed, unique and well done. What made the experience of listening to Split Second the most enjoyable? The speaker had many different voices he used and he spoke at a 'normal' speed instead of a slow speed like so many of the books have. 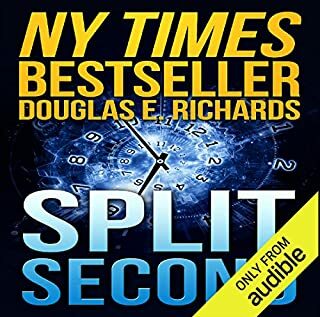 What other book might you compare Split Second to and why? Have you listened to any of Kevin Pariseau’s other performances before? How does this one compare? no I haven't, but he's very good. No, it was evenly paced, and interesting. I actually believe in parallel universe that split and when differences become irrelevant, they collapse. But this was fiction, and I enjoyed it. There is a great deal I like about this story. It takes it time with an old fashion courtship. The heroine chooses the man who best suites her, vs the movie star. The hero stays with the heroine even when something terrible happens which will require years of therapy and even then she will never be the same. And the happy ending is satisfying. However, the thriller part of the story (I don’t wish to reveal spoilers) is not what I would call ‘tight’. The justification of actions are not as solid when all is reveal as I would have liked. Certain actions which appear to tied to the thriller theme turn out not to be attached at all, only mere coincidence. (I’m talking about car accident) and the reasoning of the attacks are not flushed out sufficiently. Thus in the end, I have to give this a 4 star. It was entertaining but left too many holes to justify a 5. 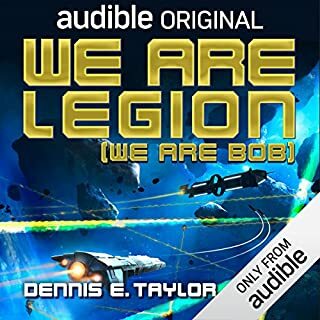 I thought the narrator did an admirable job with all the voices.